It's finally December and you know what that means: cuddle weather, family time, and (most importantly) THE GIFT OF GIVING! It's always a struggle finding that perfect gift for your bestie, but you're in luck, cause we're here to help! 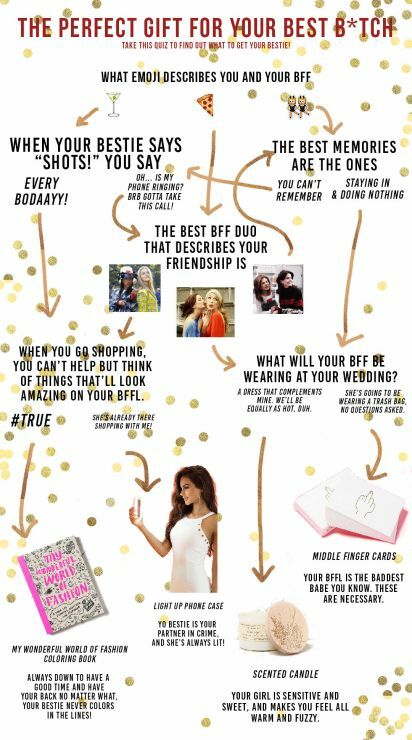 Take this quiz to find out what your bffl needs! Find gifting items on WWW.LOVECULTURE.COM now!